But this time everything was different, the Jicinians showed an exhilarating performance and 30:28, with a two-shot lead after the first half (17:15). 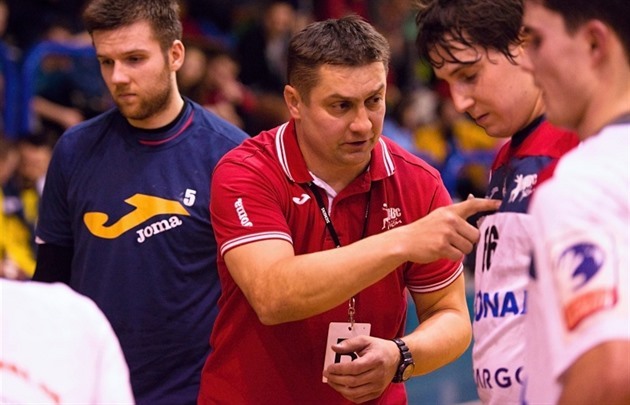 “We are immensely proud of our team,” Jičín coach Aleš Babák said. Jicin won the second time in a row and helped dramatically in the fight for play-off, which has been on the edge since the beginning of the season. mood. “The Safar could not get in, with Krahulec playing with the self-defense of the game. That’s why we were traveling with fear, “Babák explained. But the fighting and determination from the start of the game brought Jičín success. He managed to score 6 – 5 in the 8th minute and did not let himself.An important phase of the match was the start of the second half. From the first one, Jičín brought two goals lead and when the first ten minutes of the second half won 6: 2, it was a sharp lead 23:17! Domáci managed to reduce to 48 the difference of a single goal (23:24) and they seemed to be in for the final turn, but they did not even succeed in a four-minute game. Their mistakes and inaccuracies in the attack allowed Jičín to regain the lead by four goals and the match to reach the winning end. “We managed to capture the beginning of the match and we almost always led.I would like to thank the whole team and the fans who supported us today, “said Jičín coach. ” We had a big problem in defense in the first half, we were not able to successfully defend the Jičín attacks. In the second half we improved the work in the defensive, he was greatly caught by Jakub Koňařík. Unfortunately, we were unable to give simple goals that we shoot in other matches. This was a failure in the game of our key players, “Václav Toman, the lovers’ assistant, scored at the club’s web site. Jičín could help even more by the end of the calendar year because the two remaining games will play at home.This Saturday, Karvinou hosts this Saturday, and a week later, New Veselí.